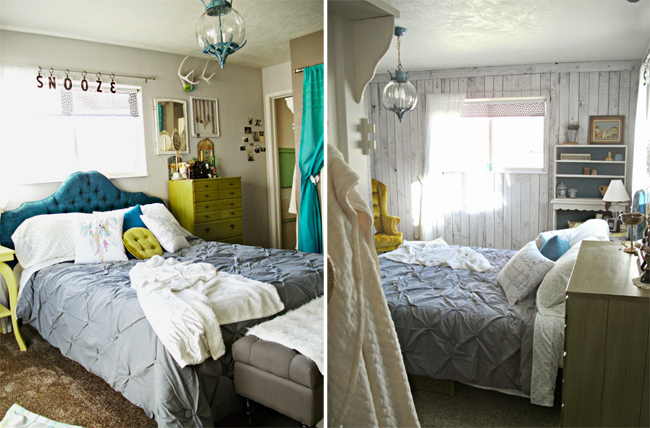 I love this bedroom - very funky and cozy. She did a great job. 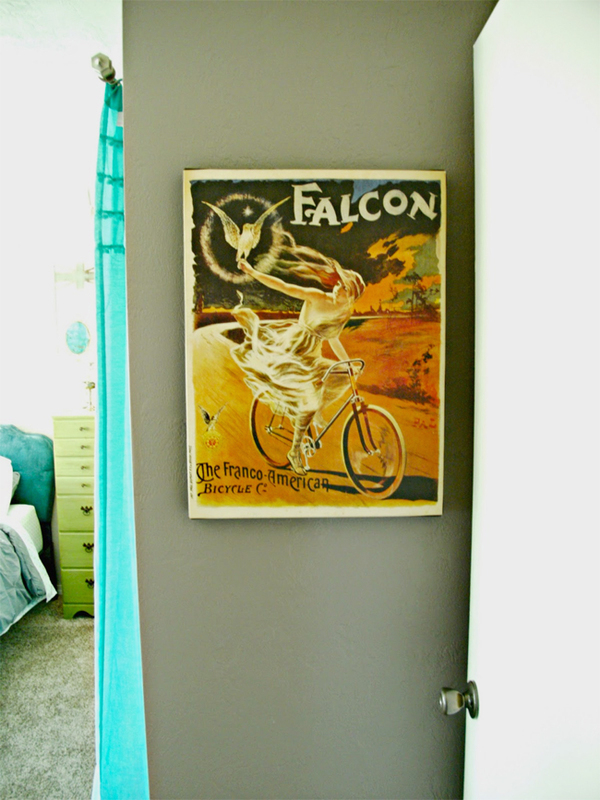 She did :) Makes me excited to work on my space. I love it. I love everything about it. I wish my closet was that darn organized though! What a fabulous bedroom! 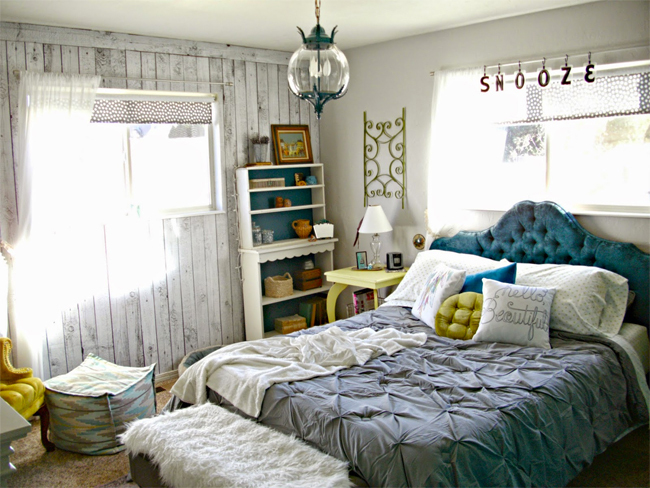 I love the details like the "snooze" above the bed and that the headboard matches the colour of the little bookcase! The color matching was -really- well done. 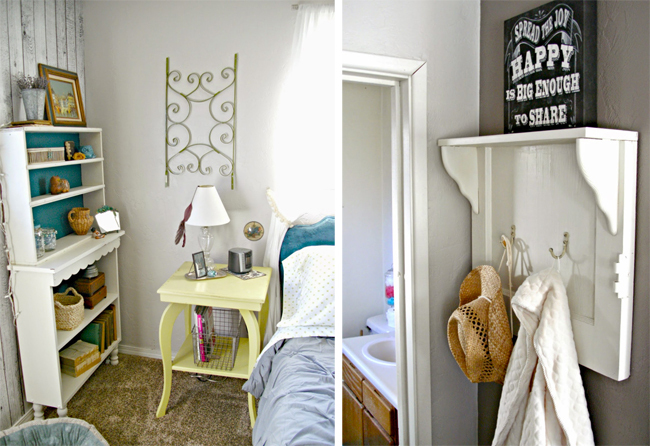 Tania has completed some great projects throughout her home. 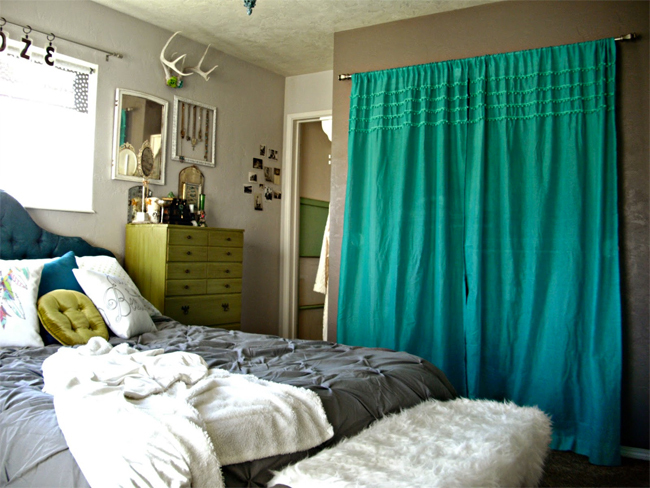 Love her boho style and the turquoise and green colors against the pale grays and whites. 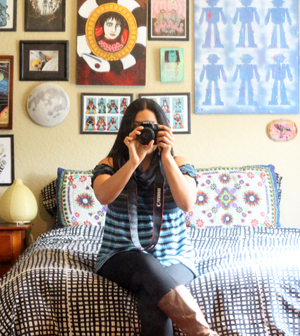 Love Tania's bedroom. Her style really resonates with me. Its boho relaxed elegance is perfection. Agreed, lots of lovely details. What a wonderful feature! Love this room! 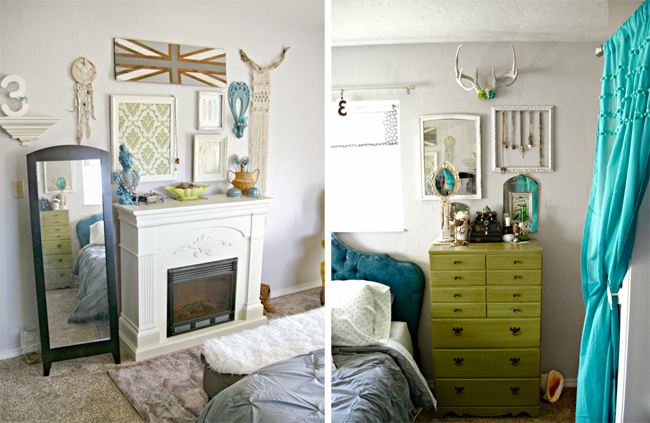 Tania is so create and she has done some amazing makeovers in her home, I love her blog! Wow, it looks completely like it should be in an interiors magazine. 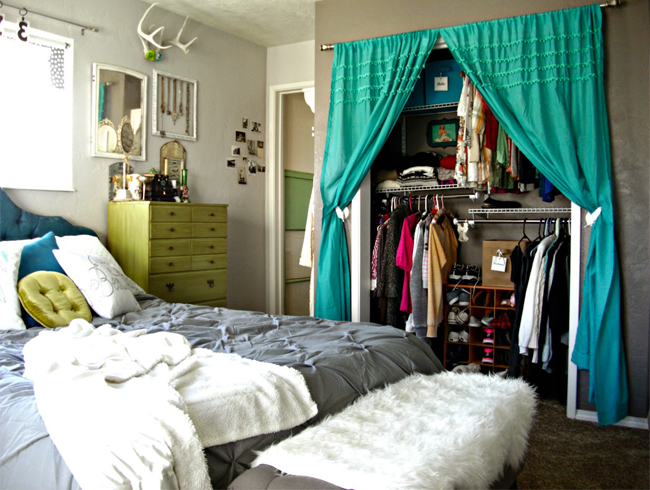 I especially like the closet curtains when they're partially open, looks so appealing. I was shocked when I saw the 'after' too. I was like, "Is that an inspiration photo from a magazine? Ooooh that's here room! Damn!" 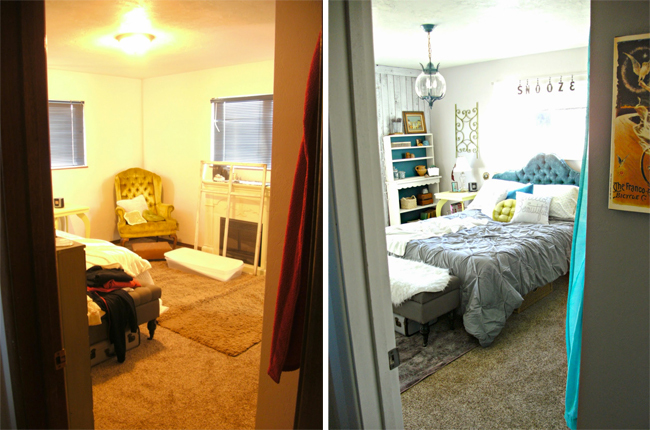 It's big difference between before and after. It looks unbelievable cozy! I'm impressed by this combination of colors.